I was getting ready to do a blog post on the first day of school and realized that I never posted several pictures from our summer break. Oops! 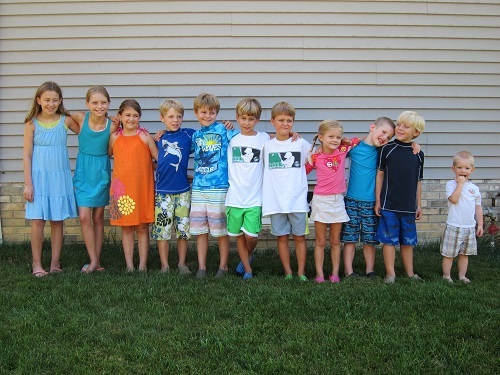 We had a great summer!! 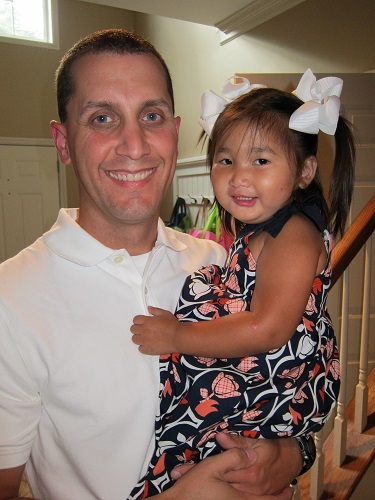 Molly Kate and her Daddy. I thought this was a great picture of both of them! Seriously, this girl is growing up so fast. 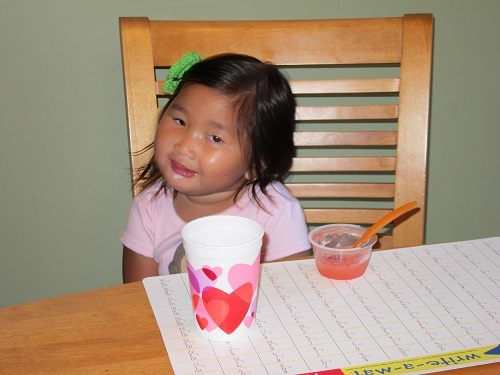 She demands a real cup most of the time and doesn’t even want to sit in her booster seat at the table anymore. She thinks she is so old! 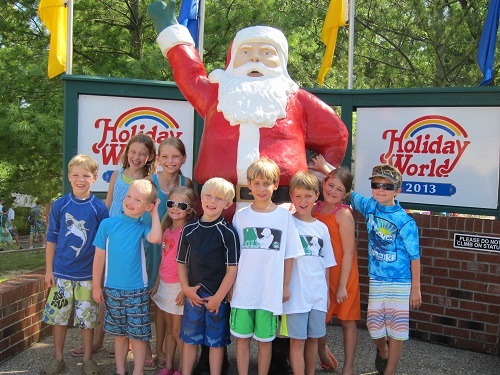 In July, we took our annual trip to Holiday World. My college roommates and I always take our kids up for a day at the park. It is always a big highlight of the summer. The kids enjoy the sleepover as much as the park! 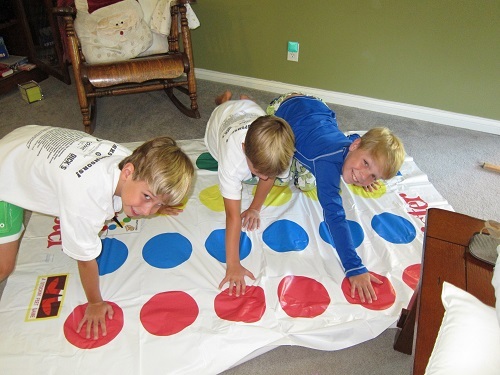 Here are three sweet boys playing twister while waiting for the park to open. 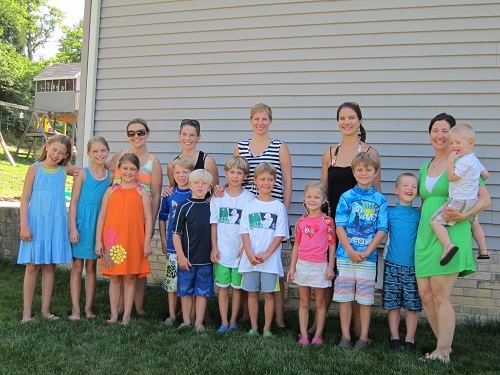 We took 11 kids with us this year. We are CRAZY!!! I love these girls and their kids! 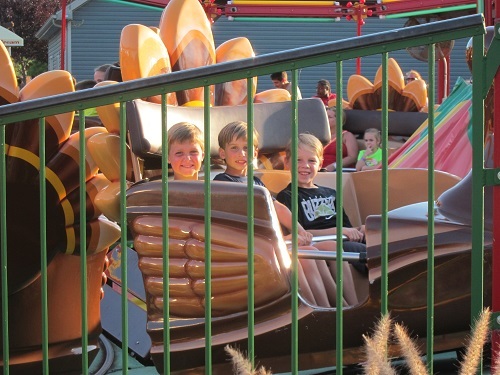 Soon after Holiday World, my aunt, uncle, cousin’s wife, Danielle, and her kids came down for the day. Katie brought her kids up and Mom and Dad were here as well. It was a FULL house! 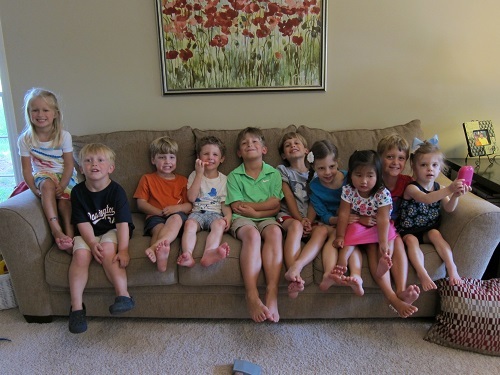 The kids had a lot of fun together and it was great to catch up. 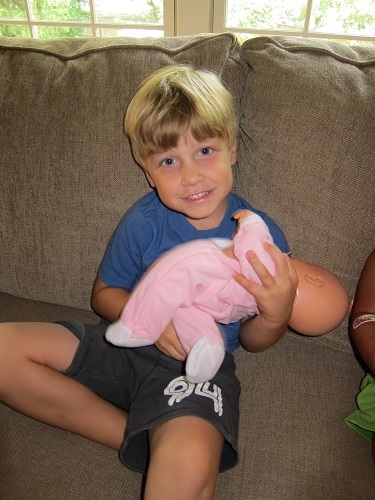 While this sweet 4 year old can drive me crazy some days, he is such a sweet boy. I found him rocking this baby to sleep one day. He loves playing babies with his sister. 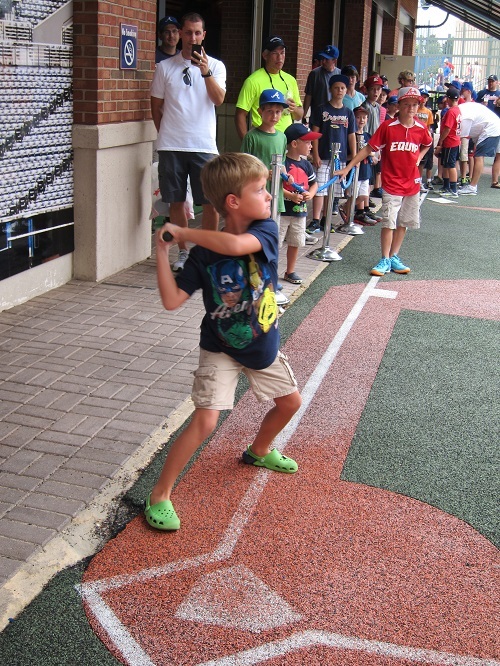 At the end of July, we took the boys on a road trip to Atlanta (Molly Kate spent a weekend with her Nana and Papa). 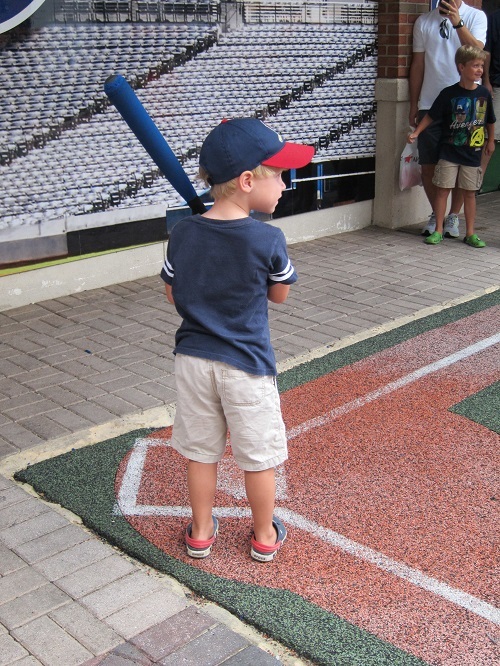 We drove down on a Saturday morning, ate lunch at the Varsity, and headed to Turner Field. 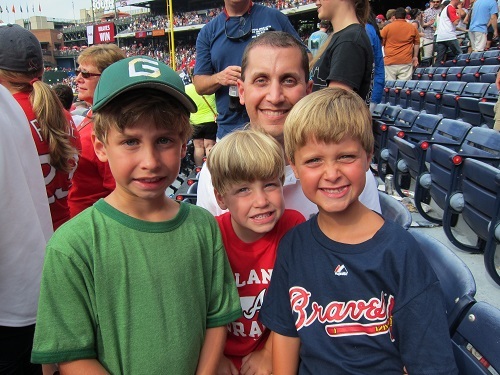 This was the boys’ first major league baseball game and they were super excited. Zach got us great tickets and we were very close to the action. 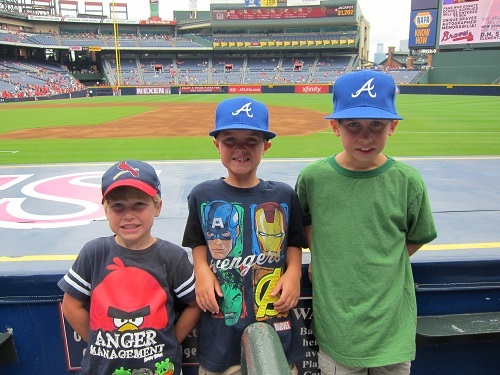 The Braves handed out free hats as we arrived and Carter and Seth were thrilled to wear a Braves hat (Ethan wouldn’t give up his Cardinals hat). 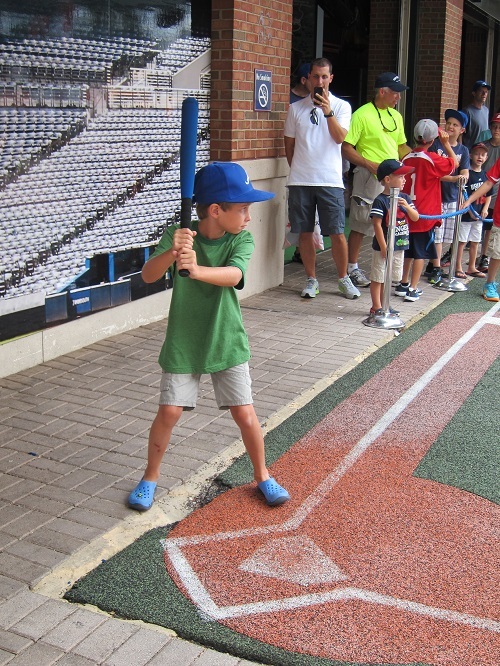 Seth playing baseball in the kids area at Turner Field. After a great (but incredibly humid) game! Go Braves! 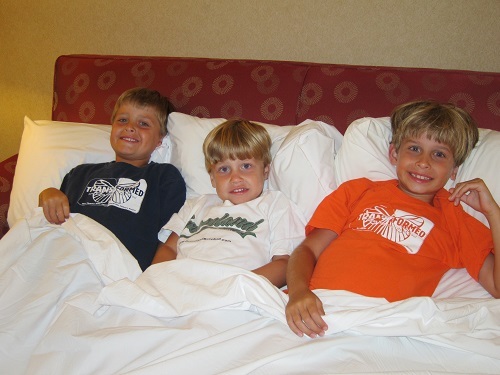 And one of their favorite parts of the weekend…sleeping in a hotel! They loved the pull-out sofa. 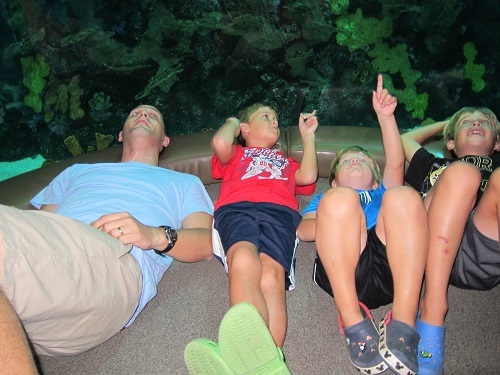 On our way home on Sunday, we stopped at the Chattanooga Aquarium. The boys LOVE this place!